4 Seasons is easy to play, as it has a standard layout. However, you will not find any standard symbols, as all the animations have to do with Chinese zodiac signs, which plays a big role in this game due to the feature, about which more information will follow. The cat is the wild symbol and can replace any other symbol, except for the symbol leading to free spins. The music on this slot is calm and completely fits the serene, Chinese theme. 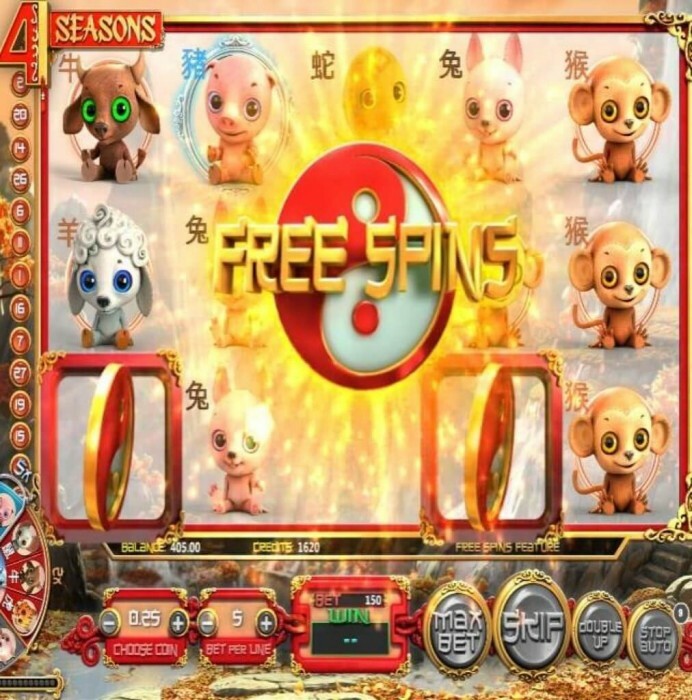 4 Seasons is a slot released by software developer Betsoft and has a Chinese theme. The layout of this slot is rather simple with its five reels and three rows. However, many players will notice that the game can be pretty slow, even on a decent Internet connection. The slot has one feature and free spins. What is particularly strange about 4 Seasons is that the autospin has a weird requirement. Namely, you need a sufficiently positive balance in order to pay for all the spins in advance. This actually seems to be a mistake by Betsoft, and they might still change this in the future. How to play 4 Seasons? 4 Seasons has a striking feature. Namely, there always is a symbol that pays much more than the others. Which symbol that is, is determined by the wheel positioned on the left-hand side of the slot. After 30 spins -excluding free spins-, the wheel turns one position. The selected symbol pays out ten times the normal amount. The animations to the left of the selected symbol -on the wheel, that is- pays out five times the usual. The same goes for the symbol on the right of the selected symbol. Of course, the presence of this wheel increases your winnings. When the free spins symbol lands on your reels in three-fold, you will receive eight free spins. When the scatter appears four times, its twelve free spins, and for five scatters, you get 20 free spins. As said before, free spins do not have any impact on the wheel determining which is the special symbol. But, of course, free spins are lucrative. Also here, blocks of animations create extra winnings. During free spins, the slot uses that same symbols as during regular spins. 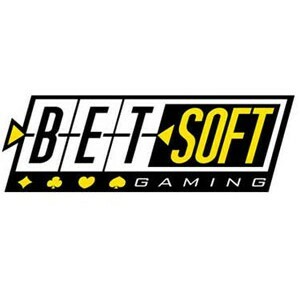 Thus, Betsoft hasn’t really done very much with the free spins. 4 Seasons does not have a jackpot, which isn’t too bad. At least, the idea is that because of the fact that the slot is rather slow, a jackpot would not have attracted any more players. There are 30 pay lines, but you cannot alter the number of active ones. Therefore, you will have to play with 30 active pay lines. At the bottom of the slot, you can alter the coin value, and with that your total wager. There also is an autoplay function, but, unfortunately, it does not work very well. Just like some other elements of this slot, the autoplay function is slow and clunky. Furthermore, as said before, you will sometimes get the notifications that you need enough money to pay for all the requested automated spins in advance. 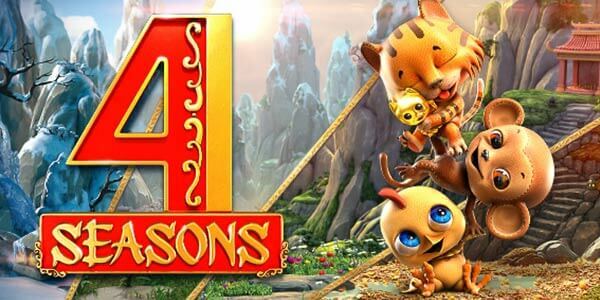 All in all, 4 Seasons is a fun slot, but Betsoft should have worked a bit harder on it in order for everything to work smoothly.